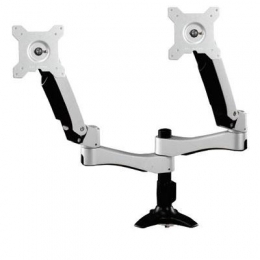 Articulating Dual Monitor mount Grommet. Amer Dual Spring Loaded Articulating Grommet Based Mounitor Mount. Supports up to two(2) 24 monitors. Vesa support 100x100/75x75mm. 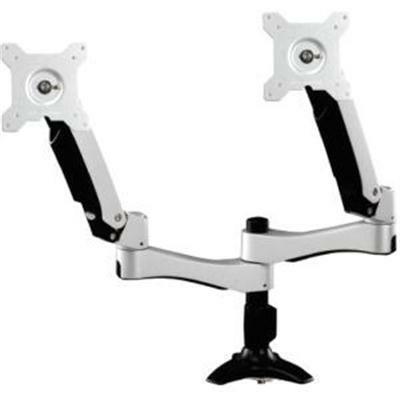 Arm hinge supports rotation and tilt.